Casa Del Toro’s mission is to serve dogs identified as pit bulls by fostering responsible pet ownership,enriching the lives of shelter animals and rescuing dogs for permanent placement in quality homes. The Animal Den has proudly partnered with Misty Eyes Animal Shelter & Learning Center, and is currently accepting supply donations on their behalf. Misty Eyes works with the Henricks County animal shelter to help put an end to high numbers of unnecessarily euthanized and “re-homed” animals. Please drop off any pet food, towels, kitty litter, newspaper, pet toys, or other donations to the Animal Den office to contribute. 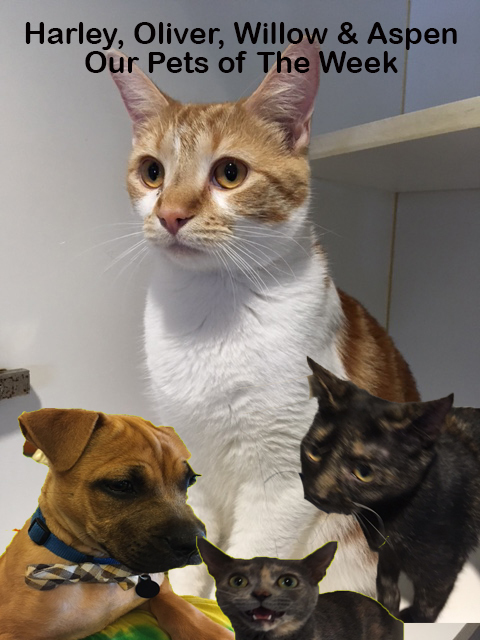 Want to see what adorable adoptees await yourself, a friend, or family member at either the Animal Den or Misty Eyes Animal Shelter & Learning Center? Click here for more information. The Animal Den is working together with the Humane Society of Indianapolis to promote adoption opportunities near you! By spreading awareness of affordable animal care services and showcasing members of the four-legged community, we hope to increase the amount of foster and adoption occurrences in the greater Indianapolis area. The Rescue Farm is a non-profit, no kill animal rescue shelter working to effectively eliminate euthanasia of all adoptable animals. Since their conception in 2003, the Rescue Farm has successfully found homes for well over 5,000 homeless pets, and nearly 200 so far in 2013! H.E.A.R.T. (Helping Every Animal Receive Treatment) is a non-profit organization whose mission is to assist both animals seeking refuge in shelters and rescued / relinquished animals at veterinary offices receive treatment in order to become adoptable. The funds gathered for such initiatives are raised via candy jar proceeds and donations from community members.